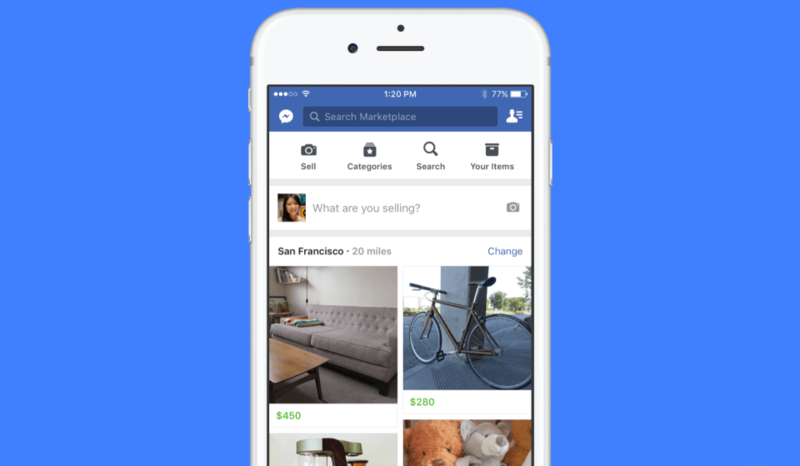 Facebook is adding yet another string to its very full bow with the introduction of a Craigslist-style buying and selling service. The social network says that more than 450 million people use its For Sale groups feature each month, and Marketplace will make the process easier, allowing users to discover, buy and sell items with others in the nearby area. Marketplace will be arriving in the US, UK, Australia and New Zealand over the coming days, appearing as a shop icon at the bottom of the Facebook Android and iOS app. There’s no desktop version as of yet, but the company said it should be available in the next few months. Tapping on the new icon will open up photos of items that people in the local vicinity have listed for sale; these will be based on items you’ve liked previously and other activity within the Marketplace. There’s also a search function that can be filtered by location (radius or city/region), category (household, electrical etc.) or price. Once you find an item that catches your eye, tap on it to bring up a product description, the seller’s name and profile photo, and their general location. You can message the seller and haggle for an item. Selling goods is simply a matter of uploading photos and setting a name, price, and description before confirming your own location. Unlike sites such as eBay, Facebook isn’t involved in the payment or delivery of items in the Marketplace. It’s up to the buyer and seller to work out the details themselves, which means there are no eBay-style listing fees. But the flip side is that there are no protections or guarantees with each transaction. Facebook already boasts a huge number of users who regularly buy and sell goods on the platform, so the Marketplace feature will likely prove popular. It’ll be interesting to see if it manages to draw people away from established sites such as Craigslist and eBay.